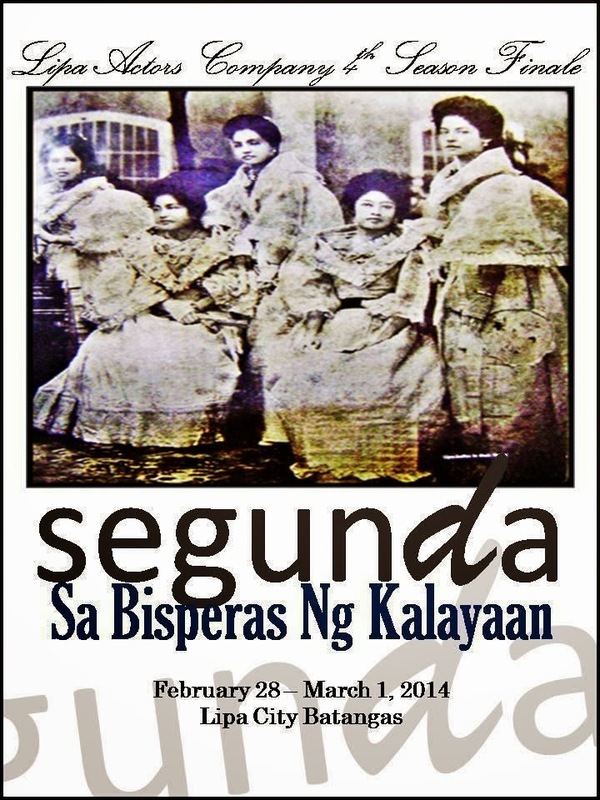 Segunda, Sa Bisperas ng Kalayaan is the 4th Season Finale of Lipa Actors Company. A heritage based play inspired by Lipa Circa 1887, the play seeks to promote local history and tradition. It showcases kundiman music and folk dances as well as the oral tradition of speaking authentic tagalog. Also, the story depicts Filipino resistance to Spanish oppression and exploitation. Lipa Actors Company is the leading community based theater organization in Batangas. Segunda is their second installment from the MUTYA NG LIPA TRILOGY following a three-year staging of ANG LUHA NI KUMINTANG in different parts of Luzon. The last from the trilogy entitled MILAGROS is set on their 6th season in 2016. Milagros on the other hand is about Lipa City in 1940’s when the miraculous shower of petals in Carmelite Monastery occured. From the pool of promising and talented LAC members, Segunda Sa Bisperas ng Kalayaan is written and directed by LAC Artistic Director Luisito Nario, Production Design by Joemar Sustento and with the original music from Hezel Cary Hernandez and Riel Kio Callado. It will premiere in Lipa City on February 28-March 1, 2014 with shows at 10am and 6pm.